Calculate your first draft's Empathy Index, revise to improve it, and focus on your lead. Do the same with Brad's first draft. 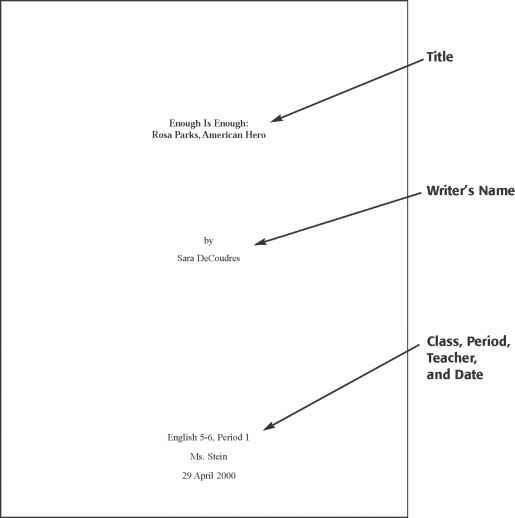 Brad used italics to indicate references to his readers and underlining to indicate references to himself. See if your calculation of Brad's Empathy Index agrees with his. Using proprietary stochastic simulation techniques, incorporating data collected from numerous sources of government and other public data information as well as data collected from interviews personally conducted by me and my staff, we learned without question that the bottom-line no-question absolute best choice for our new factory is Georgia. To get a fresh view, one of my assistants met with a risk manager with no knowledge of the risks involved in doing business in either Florida or Georgia. From among the three finalists. Data is tested and proven. Objective too. Let me answer—anticipate—questions I think you're going to want to know the answers to. A: i collected data of all sorts from all sorts of data sources. Q: Why is Georgia a better choice than Florida or Illinois? A: It's lower risk overall and in key specific areas including weather, transport and available labor. Q: What's the most compelling benefit of choosing Georgia? A: Diversification. We need to mitigate against the chance of a problem in weather or labor unrest or zoning or taxation in Florida. If these problems occur in Florida, and we have more than one factory in Florida, it is easy to no doubt see the problem. Both factories is effected, not just one factory. If we have one factory only in Florida, and these factors change, not a problem. Or rather, not such a bad problem. Or actually, not likely to be such a bad problem. It's easy in retrospect to carefully understand why some of us lean toward selecting Florida but we should use objective, not subjective, criteria to make the decision. If we do that, we must go with Georgia. Brad said, "There were nine references to me and my staff and nine references to the corporate entity, which I used as a measure of reader focus. So my Empathy Index totals zero. Not good enough. I noticed that I had many more reader references toward the end, in the last question, than I did in the beginning. Noticing that fact helped me understand how to rewrite. "Thinking about the lead, I realized that I had buried the words bottom-line. I decided to move those words up into the lead as a tactic to reach the Producers. Only after summarizing the bottom line would I talk about my methodology. Explaining my research process would appeal to Data Collectors, so I wanted to do it pretty early on. I decided to add a comment that the research required creativity to reach the Optimists, and mentioning that we assessed whether the climate was supportive of labor would appeal to Accommodators." Go ahead and revise Brad's draft, then read Brad's revision. After careful review, the bottom line is that the best site choice for our new factory is Georgia. To get a fresh view, one of my assistants met with a risk manager with no knowledge of the risks involved in doing business in either Florida or Georgia. My analysis used proprietary stochastic simulation techniques, incorporating data collected from numerous sources of government and other public data information as well as data collected from interviews. Designing the model required creativity and diligence. From among the three finalists. Data is tested and proven. Objective too. Let me answer—anticipate—questions I think you're going to want to know the answers to. What do you think? How did you revise Brad's draft? What's your new Empathy Index? Brad said, "I know it needs more work, but I didn't want to get confused, so I focused only on the opening paragraph and added the reference to a positive labor environment." Using italics to indicate references to his readers and underlining to indicate references to himself, here's how Brad assessed his Empathy Index. After careful review, the bottom line is that the best site choice for our new factory is Georgia. My analysis used proprietary stochastic simulation techniques, incorporating data collected from numerous sources of government and other public data information as well as data collected from interviews. To get a fresh view, one of my assistants met with a risk manager with no knowledge of the risks involved in doing business in either Florida or Georgia. Designing the model required creativity and diligence. From among the three finalists. Data is tested and proven. Objective too. Let me answer—anticipate—questions i think you're going to want to know the answers to. Q: Why is Georgia a better choice than Florida or Illinois? A: It's lower risk overall and in key specific areas including weather, transport and available labor as well as a positive labor climate. Q: What's the most compelling benefit of choosing Georgia? A: Diversification. We need to mitigate against the chance of a problem in weather or labor unrest or zoning or taxation in Florida. If these problems occur in Florida, and we have more than one factory in Florida, it is easy to no doubt see the problem. Both factories is effected, not just one factory. If we have one factory only in Florida, and these factors change, not a problem. Or rather, not such a bad problem. Or actually, not likely to be such a bad problem. It's easy in retrospect to carefully understand why some of us lean toward selecting Florida but we should use objective, not subjective, criteria to make the decision. If we do that, we must go with Georgia. Brad identified nine references to his readers and six references to himself. "I improved it a lot, I think. My Empathy Index is now a positive three." Work on your draft to improve your Empathy Index. Remember, the more reader focused, the better.